I, Allen Capurro, was born as one of the 4th generation of farmers/ranchers, to my parents, Louis and Gen Capurro. I was raised on a ranch that originally helped to supply the Comstock Mining area of Virginia City with fresh vegetables, hay, grain, meat and dairy products around the outlying areas of south Reno, Nevada. I was educated in Reno schools and the University of Nevada before entering the U. S. Army Reserve. My youthful years were spent on every aspect of farming and ranching. I milked cows from age 15 until I was 40. My cousin and I took over operations of the existing ranch and a few years later, with another childhood friend, we established a potato growing and packing business north of Reno. I participated in the Nevada State Farm Bureau organization and served three terms as our county president. Me and my wife, Carol, raised three children: Steven, Clint and Suzanne and have enjoyed their spouses and the many grandchildren they gave us. We celebrated our 50th wedding anniversary this year. Throughout my life, I have joined many local and state team roping groups. I have been a member of the PRCA since 1962, but my rodeos entered were limited because of ranching duties. I was very fortunate to be fairly competitive and placed at many that I entered. 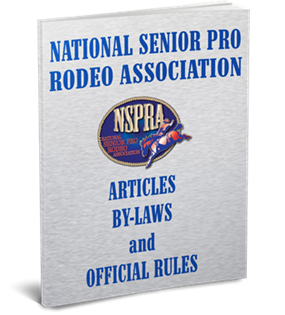 After my semi retirement, I joined the NSPRA (NOTRA) and traveled intensely for several years, winning three World Championships and one Canadian Senior Title in team roping. During this time we saw much of our beautiful country, met many fine people and made life long friends and memories, as far east as Alabama, north into Canada, south into Arizona and all the states between them. I still rodeo as a PRCA Gold Card Member in the Gold Card Competition and am fortunate to be healthy enough to rope at many jackpots around the country. I am honored to be a long time Charro Camp member of the Ranchero Visitadores. We live in Reno in late spring, summer and fall, but Arizona’s team roping atmosphere is our home in the winter. I enjoy spending time with my wife, our family, my horse, competing at many team roping events and fishing with sons, son in law and grandsons. We enjoy being outside in northern Nevada or central Arizona and are always anxious for the changes that each area has to offer.